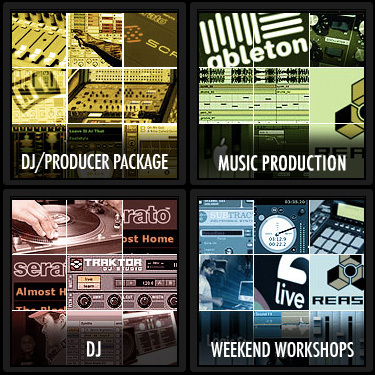 DJ Mix Competition for Students: Win a FREE Class and more! We at Dubspot are pleased to announce our new Dubspot Student Spotlight DJ competition for current and former students. Entrants are asked to submit a 30 to 45 minute DJ mix and follow the steps below in order to get a chance to win a FREE Dubspot class of your choice! Additional prizes include a spot to perform at a Dubspot event and being featured on the Dubspot Podcast. Here’s how it will work: Submissions open now and will remain open until September 1st. On September 1st all entries will be posted to their own pages on the Dubspot blog on their individual Student Spotlight posts. The first phase of the contest will be to get as many people as you can to come to your Student Spotlight post and leave a comment, press the Facebook ‘Like’ button, Retweet the post, listen to your mix or ideally do all of the above! The three contestants with the highest combined total of Likes, Retweets, Comments and Plays will be judged by the Dubspot faculty and a winner will be selected. This is a great opportunity for you to show the world your new DJ skills AND take them to the next level with a FREE course at Dubspot! Record your DJ mix. Technical mixing skill and sound quality are important but so are originality and great selection. The goal of this is not to create a perfect mix but to show who you are artistically and where you’re at in your progress as a DJ. We will be accepting submissions in all genres of music and all DJ platforms including Vinyl and CDJs, digital vinyl systems like Serato or Traktor, controller based setups like Ableton or whatever performance rig you use. Upload your mix to Soundcloud. If you don’t have a free Soundcloud account, now is a great time to start one. Check this video for a quick tutorial on how to do it. Follow us. Become a Facebook Fan, Twitter Follower or YouTube Subscriber of Dubspot. If you’re not already on all three of these platforms, now is a great time to make an account. These are critical tools for promoting yourself as an artist. A short video, audio or written statement about your experience at Dubspot. What class or classes did you take? Where were you when you started? Where are you now? How was your experience? A photo of yourself or an image you’re using to represent yourself as a DJ. A two sentence “About Me” blurb for example: Matt Shadetek is a Producer and DJ living in Brooklyn. His style ranges from Dubstep and Dancehall Reggae to African and Carribean influenced experimental House. The user name you became a Dubspot follower, fan or subscriber with and which platforms you did it on. Once we’ve received the information we’ll create a Student Spotlight page on the Dubspot Blog for you and send you a link when it’s time to start promoting your mix. Good luck and most importantly: have fun! David D. Singleton Jr. D.J. A. T.
The mix I want submit is called “Blurr”. U can find it on my website. It is a dedication 2 the Zulu Nation & the founding fathers of Hip-Hop. mixed live with cd-djays & 12′s; -then I ran it back through Abelton Live 8 4 a good wash and rinse!! This competition is just for dubspot students or is for everyone who wanna participate? i´m from portugal i don´t know if can enter in this too.